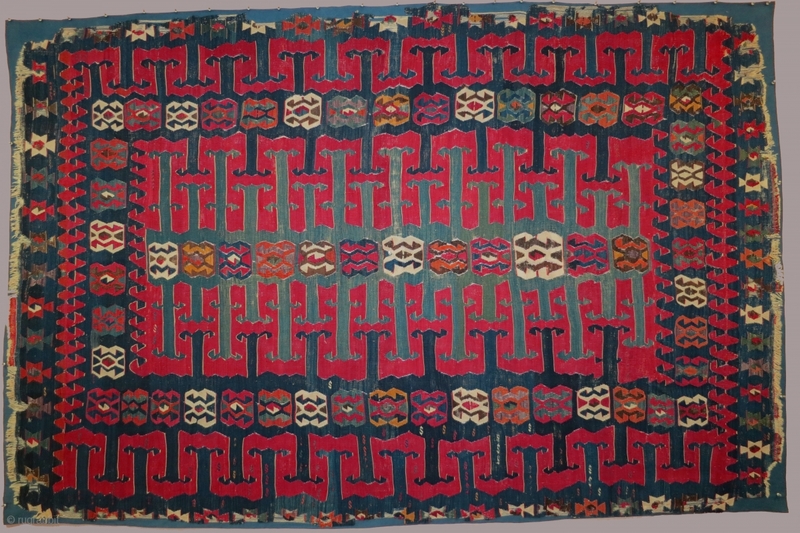 Anatolian kilim, Yuncu type, from the Balikesir region, early 19th century, 70 x 106 inches (178 x 260cm). 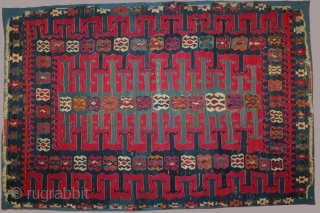 In good condition with some losses and several areas of reweaving especially in the medallions in the field. 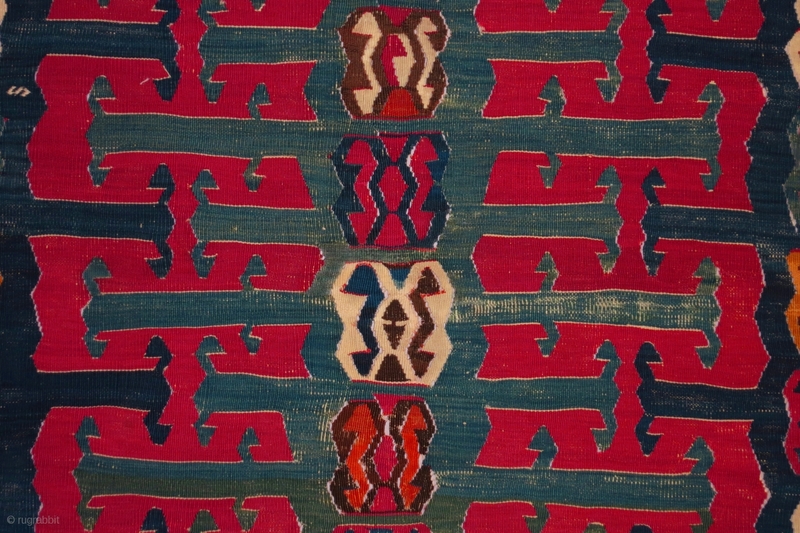 Published in 100 Kilims, Masterpieces from Anatolia, 1991, plate 18 and originally in the collection of Yani Petsopoulos.